Member of idol group "Arashi". Ella Nov 06 2017 8:01 pm Ninomiya Kazunari, is a Complete Package, very talented, not to mention his good look, his dedication, and love for Arashi co-members and us, his fans. Ninomiya, is my Ichiban !!! Ma-Chan Jan 22 2017 12:57 am Who is your ex? REI Sep 28 2012 9:00 pm I watched several of his work, and his acting is quite good. And Nino's portrayal to Seiji-kun in Freeter io wo kau was so great, he depicting a bored young man turn to be a capable responsible man who his personal goal is protect those beloved to him quite succesfully. toots Sep 27 2012 5:05 am admired Nino when I watched him in 'Letters from Iwo Jima', I wish him all the best roles to highlight his full potential as a great actor. maneki hobbang Nov 13 2011 8:03 am he's too good. as soon as i finish one of his films/dramas, i can't wait for the next. keep it coming! i'd like to know how he keeps the same face over the 10 years of arashi's career. Marie Lexy Oct 12 2011 11:29 pm am addicted to japanese drama. fell in love with him in Taro Yamada. he brings out all the emotions in me except hatred and anger. nino, stay as you are, intense, strong character, beautiful person. MORE POWER TO YOU, NINO! Vesuvius Aug 04 2011 4:12 pm Actually when I saw you smile, I thought my ex-girlfriend became a guy. Both of you really looked alike especially when I saw your assets: teeth. 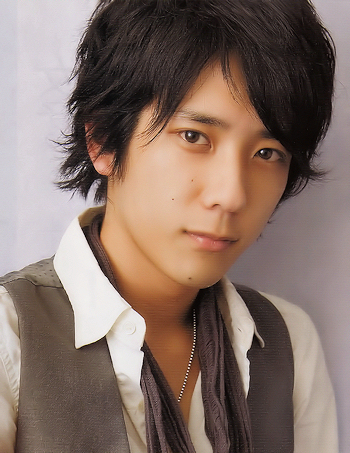 XieXie May 09 2011 2:01 pm Ninomiya is an amazing actor. simple as that. Rach Feb 17 2011 7:08 am One of the best actors in Johnnys, or more precisely his generation! Love him and his tsukkomi character in arashi NINO DAISUKI!! Belu Nov 22 2010 5:36 am Nino the best japanese actor <3 i luv Ryusei no kizuna ! wina Aug 01 2010 12:47 am i love him too.. he changed my mind about his boy band, arashi... in the past i dont like arashi,but because of him now i love arashi soo muc plus the fifth member... arigatou nino chan... suki da..
noir Apr 28 2010 8:40 am Yay!!! New movie for Nino!!! And set in EDO era!!! Will wait for this! airena Mar 24 2010 6:40 pm Nino's so talented. Great performer and one of the best actors I've seen. I love him! ishihara_deny Mar 01 2010 5:57 pm kyaaa. . . i luv nino~chan. . kawaii. . . .